RC tanks have seized the attention of twelve year-olds looking for thrilling playtime as well as forty year-olds searching for an exciting and historically based hobby. But, whether you’re twelve or forty, there are a few basic things you should know about radio control tanks before you go online or to your local hobby store to purchase one. First off, let us begin with the factor of price. A basic 12” RTR (Ready to Run) remote control tank with a rotating turret, rotating cannon, BB firing capability and sound effects that can operate on both land and water can retail anywhere in the range of $30 to $60. 1:24 and 1:16 scale tanks that have the basic functionalities along with a few more extras like smoke and an infrared signal that enables you to battle other RC tanks retail between $100 and $1,400 depending on the brand. 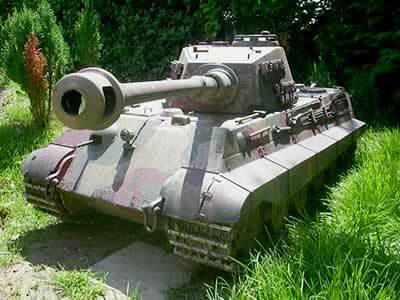 And then, for the major tank lovers out there, you can get a 1:6 scale King Tiger for over $10,000 or a 1:4 scale King Tiger with all the trimmings for just under $15,000. So, as you can see, prices will vary enormously depending on whether you just want something that can move and make noise or a realistic model that almost looks and sounds like the real thing. 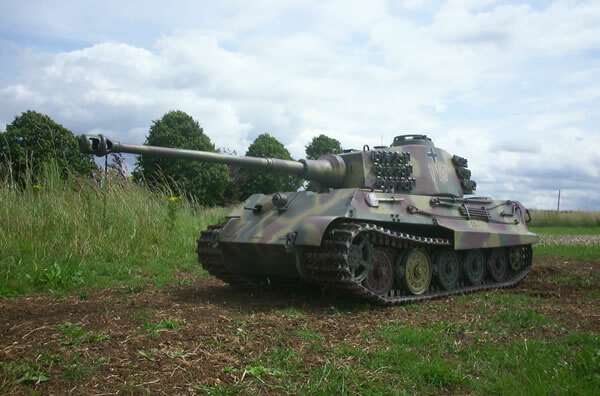 A youngster or someone just beginning in the hobby would probably be fine starting off with a $30 to $100 tank while the serious hobbyist or historical enthusiast would start spending over $1,000. Now, let’s get into some individual products. I have put together a list of tanks from all the different price ranges to give you a more detailed description of what you’ll find out there on the market. Here is your basic RTR RC tank. It measures 9”x 4”x 5” and can fire BBs. It runs on 4 AA batteries with a charge time of 4 hours and a run time of 10-15 minutes. Amphibious Panzer Tank by NQD RTR - $50.00 This tank measures 12”x 7”x 7”. It has a rotating turret, recoil action, its own rechargeable battery and a charger. This one would suit younger children since it can be used in the water and does not use BBs. $100-$1400 Hobby Tanks M1A2 Abrams by Heng Long - RTR - $99.99 The 1:24 scale Heng Long version of the famous Abrams tank holds 40 airsoft BBs that it can fire up to 30 feet. It runs on a 9.6V 1000mah Ni-Cd battery with a charge time of 2-3 hours and a run time of 20 minutes. It can fire while on the move, has sound effects and an infrared light signal. The controller is tri-band and has 9 different functions. Panther by Heng Long - RTR - $199.99 The Panther is done in 1:16 scale and can fire BBs up to 40 feet. It comes with a built in smoke generator, realistic sound effects and an infrared battle system. The tank runs on a 7.2V 1700mah Ni-Cd battery, has a charge time of 2-3 hours and will run up to 20 minutes. Tiger by Heng Long - RTR - $379.95 This 1:16 scale Tiger has been upgraded with metal treads to improve durability and increase traction. It is now capable of climbing 35 degree inclines. It holds up to 40 BBs at a time, runs on a 7.2V 1700mah Ni-Cd battery, charges in 2-3 hours and runs for 20 minutes. Sherman by Tamiya - Kit - $1,327.00 This kit is for a 1:16 scale Sherman. The kit includes a DMD Control Unit (T-08), a DMD Multi Function Unit (MF-07) and pre-assembled gearboxes with type 380 motors. Several parts are made out of metal. The finished model’s turret can rotate and the aluminum barrel can elevate and depress. Realistic sound effects and vibrations accompany all movements. It requires a 4 channel transmitter and a battery pack. 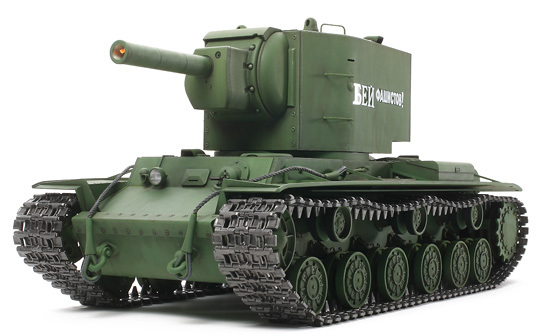 KV-2 by Tamiya - Kit - $1,400.00 With this kit, you can make a 1:16 scale Russian KV-2 that comes with a DMD Control Unit (T-08), a DMD Multi Function Unit (MF-06), a number of metal parts and digitally recorded sound effects. The KV-2’s turret is fully rotational. Its barrel can go back and forth between 4 degrees depression and 14 degrees elevation. The hexagonal turret has been faithfully reproduced to match the original tank. It requires a 4 channel transmitter and a battery pack. $10,000-$15,000 Collector Tanks King Tiger by Mark 1 Tanks - $11,181.08 A powerful 1:6 scale, the Tiger II features waterproof electronics, coil sprung suspension, a gun fire simulator and speakers. It can easily climb 60 degree inclines and can ford water up to 15 inches deep. King Tiger by Mark 1 Tanks - $14,960.00 A true monster, this 1:4 scale Tiger II is the largest of all RC tanks for sale in the world. Its body is over 6 feet long. With the gun, it’s 8 feet long. It weighs around 551 pounds, is powered by two 500w 24v motors and is strong enough to pull a car on level ground. So, now you can decide. Do you want to start off with a mini airsoft tank, a $300 Heng Long, a $1,400 Tamiya or go to the U.K. and get a Mark 1 1:4 scale King Tiger? The choice is yours. But, if you’re a beginner, may I suggest you do some more research. Perhaps, you may want to start on the lower end and work your way up as you gain knowledge and interest. And, keep in mind the upkeep costs of these tanks. A well built tank will last you a long time. But, a high quality kit tank will also require the proper tools to assemble it, model paint, model glue, battery packs, chargers and a transmitter. If you want battle capabilities, you will need an infrared battle system. Even your RTR tanks will require a little maintenance now and then. Figure out your battle plan and go with it. Build up your collection slowly. And, someday, depending on your dedication and the size of your wallet, you will have a truly masterful collection.